This article is not kept up to date anymore. Go to the Divine Divinity page on ./play.it wiki for the latest version of this guide. 4. Wait a couple minutes, The script will end by giving you the commands to launch as root to install the game. Like a lot of Windows games published before the 16:9/16:10 screens became “the norm”, Divine Divinity display can get messed up on these. The following method will give you a way to run the game in a window to avoid this. 4. Close the window with “OK”. 5. 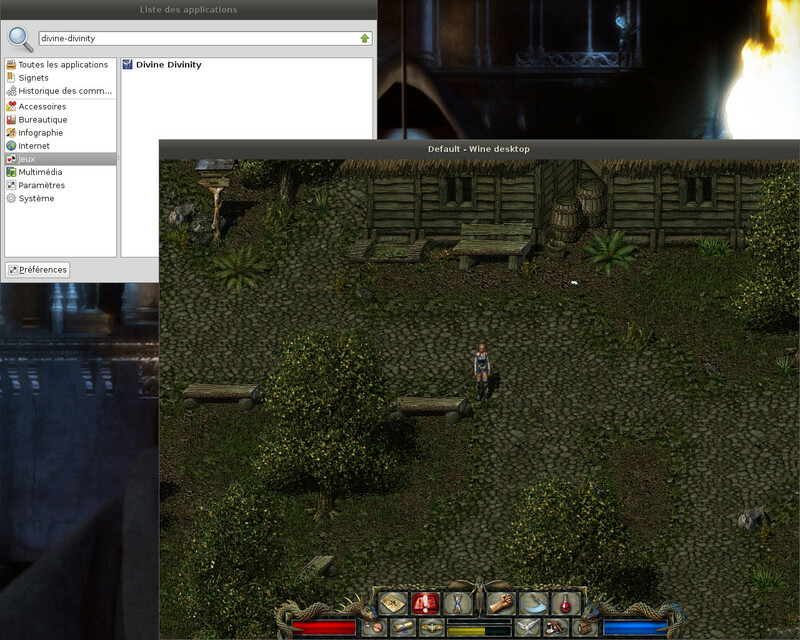 Done, from the next launch Divine Divinity will run in a window that will automatically scale to its resolution. You can go back to fullscreen mode at any time by running the WINE configuration screen and uncheck “Emulate a virtual desktop”.